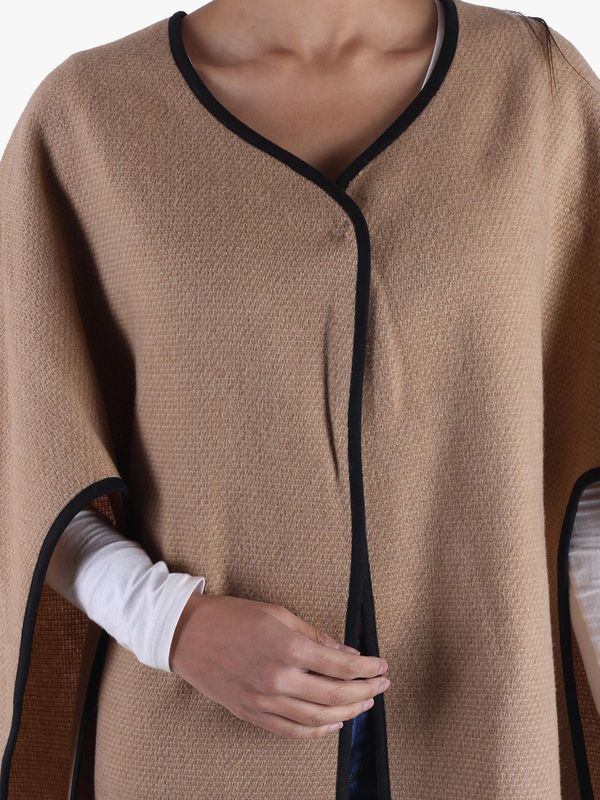 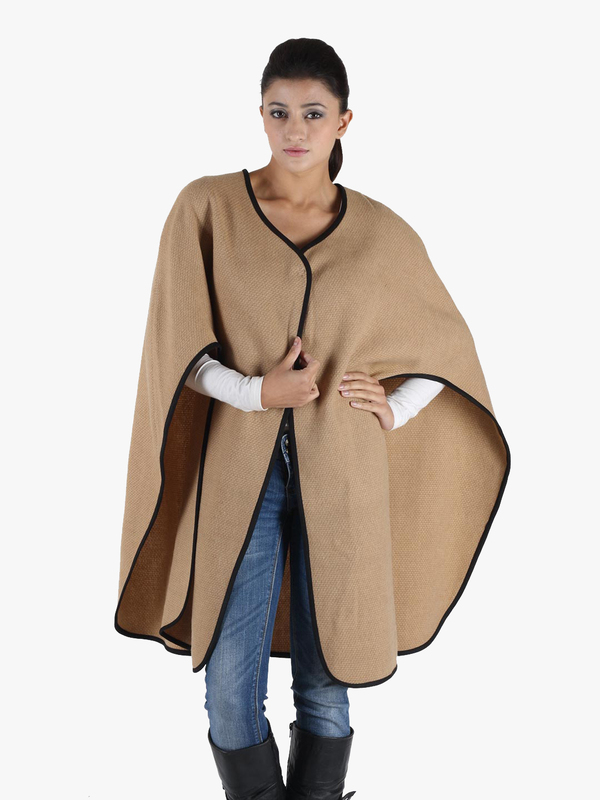 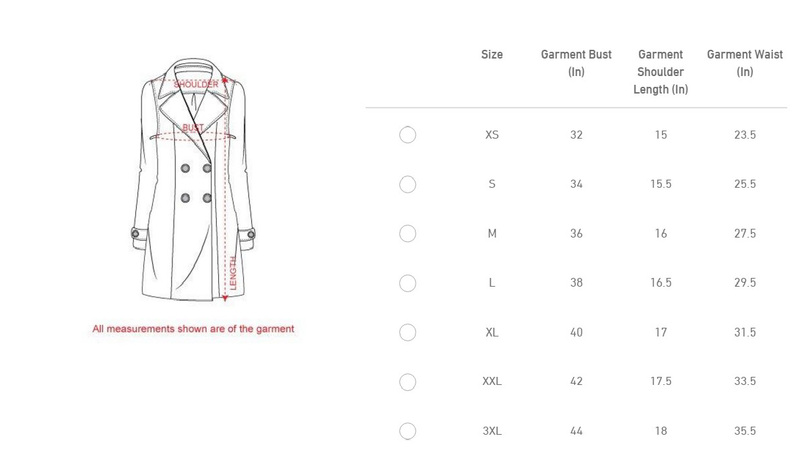 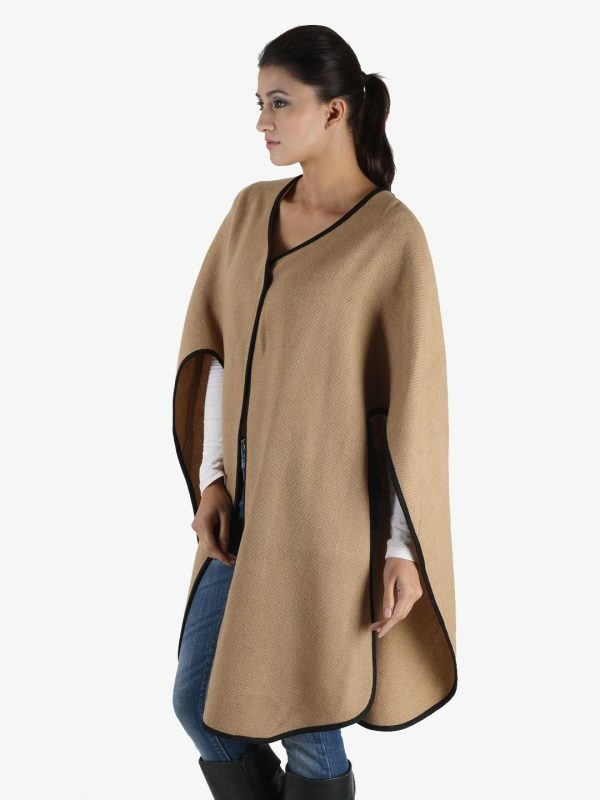 Women camel colored wool cape by Owncraft is best for trendy and easy-going look. 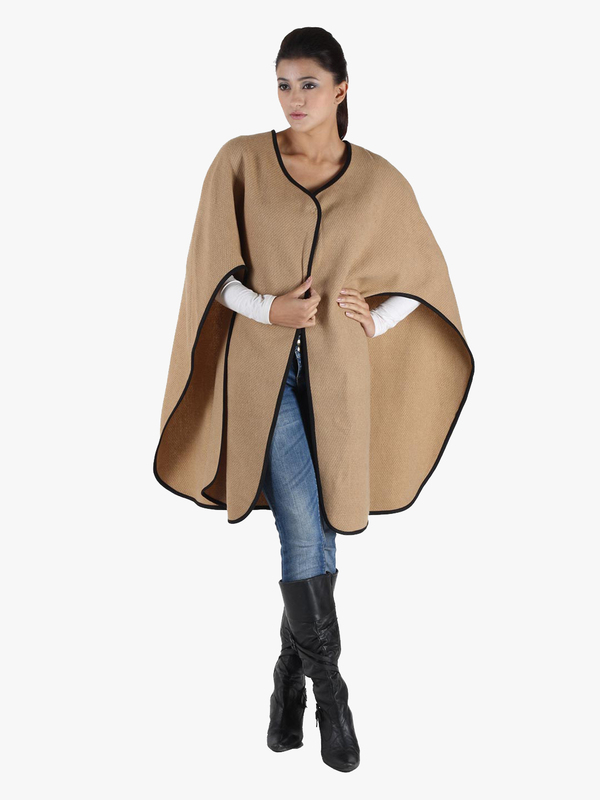 Compliment this look with blue flared jeans and white jumpers for very casual and approachable vibe. 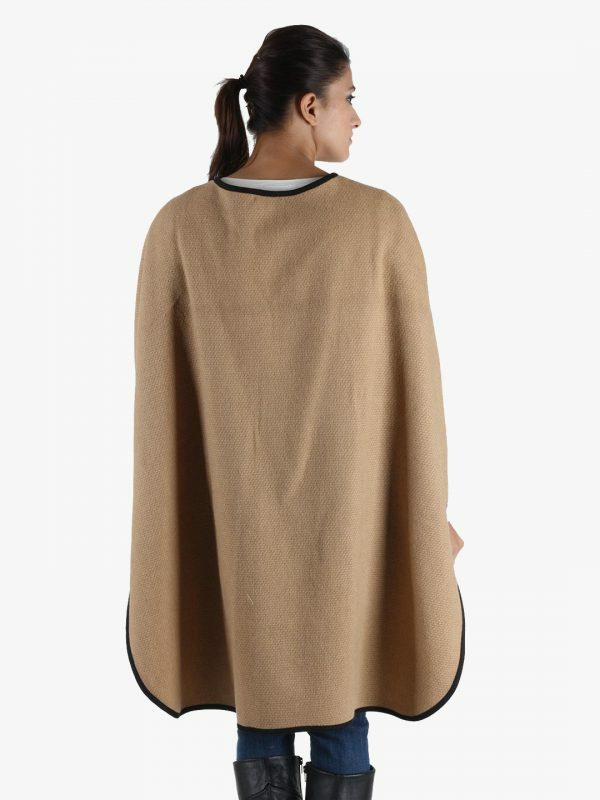 Go and upgrade your look with oat shade hue.